There are times when businessmen look for developers who can offer a dependable website but within fastest possible time. 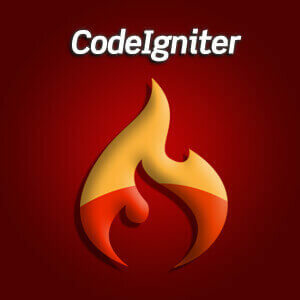 For these people one of the best solutions is Codeigniter – a PHP web application framework with flexibilities unmatched. With all the benefits of open source coding, Codeigniter comes with easy manageable model view controller (MVC), easily configuration files, greater library, awesome documentation, lightweight structure, hassle-free migration to any hosting environment and lots of features. Fast and complete customization: If you are trying to develop a site in the fastest possible time, CI should be your choice. The reason is simple as there are lots of ready structures that can be easily customized to be used to build a new site. CI developers can fast access those codes and customize them to your use. Easy on migration: Sometimes businesses have small static sites developed. But for creating a dynamic site the entire things may have to move to a new server. In other words development and migration to any server environment is always easy once the codes are in Codeigniter framework. Simple documentation and configuration: While the time of development is less yet the demand is safe development, CI should be the choice. At least your developer would prefer it as they know in this PHP framework they would get complete documentation and the configuration files that would ease the finish of work smoothly with almost zero chance of errors. Vast library and easy use of database: Unlike other frameworks, Codeigniter help switching between databases easily. On the other hand to create multilingual site, Codeigniter has inbuilt language library that can translate whole site in selected language without hassles that other framework or plain PHP development would have. There are such plenty of libraries to help the developers work faster. Well, these are just the overview of the ease of development with Codeigniter. Once you contact your web development service provider or freelance web developer, you would come to know more about CI and its use. At least once you contact me for website development, you would find that I am ready to offer all types of help regarding complete, secure and fast website development for your business. So feel free to contact me to anytime and I would meet all your requirements within your specified budget.